Maui Jim Peahi-202 Prescription Sunglasses follow a long tradition of comfort, with prescription lenses providing the maximum protection. Maui Jim Peahi-202 Prescription Sunglasses are well known for classic quality, comfort, and durability in prescription sunglasses. Maui Jim Rx sunglass frames are crafted of monel, nylon, or acetate and are among the finest sunglasses in the world. Rugged Maui Jim prescription sunglasses feature light-weight frame materials blended with Maui Jim's patented PolarizedPlus® lenses to produce a durable prescription sunglasses line cool enough for daily wear. Maui Jim was awarded the Seal of Recommendation from the American Skin Cancer Foundation for having the highest amount of UV Protection on the market. Maui Jim Peahi-202 Prescription Sunglasses follow a long tradition of comfort with lenses providing the maximum protection. 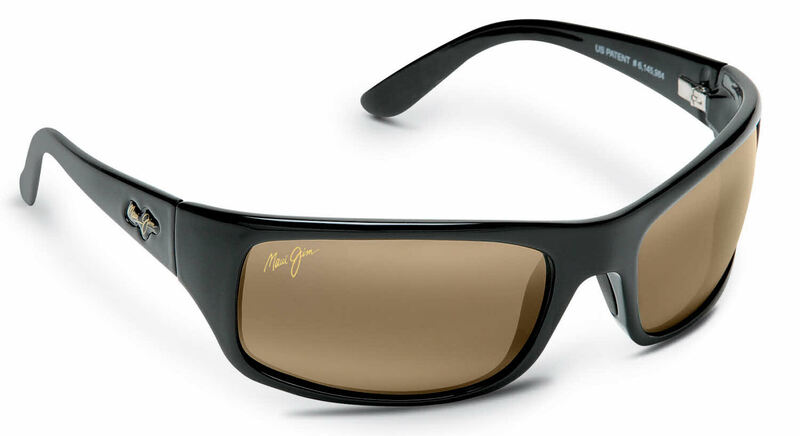 Maui Jim Peahi-202 Prescription Sunglasses are well known for classic quality, comfort and durability in sun glasses. Maui Jim sunglasses frames are crafted of monel, nylon, or acetate and are among the finest sunglasses in the world. Rugged Maui Jim RX sunglasses feature light weight frame materials blended with Maui Jim's patented Polarized Plus lenses to produce a durable sun glasses line cool enough for daily wear. Several shipping options are available with your online purchase of Maui Jim Peahi-202 Prescription Sunglasses. Terrific feel and fit! The Blue Hawaii lens offers a great look and protection from the Arizona sun. Well built and has the Maui Jim professional quality.